“NEW” Era is significantly influencing society and business, further Organizational Capability and Global Operations Strategy. 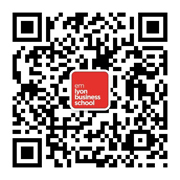 Invited by emlyon Global DBA, Prof. Yeming (Yale) Gong of emlyon business school will take Metro Future Store, Amazon Go, JD.com and Alibaba as examples, highlight the basic concept and framework of AI-based Global Operations Strategy and the new business models relevant to AI-based Global Logistics Strategy, Global Service Operations Strategy, and Global Manufacturing Strategy.In this speech，you will know how to use AI to achieve the competitive advantage, growth vs cost cutting, which one is better approach for AI-based Global Operations Strategy and how to nurture the innovative AI-based ecosystems. Dr. Yuan Jiang，Vsiting Professor of emlyon business school, will introduce the audience to an overview of research in the field of organizational behavior and management, as well as its connection to practices in organizations. By providing a brief introduction and three exemplary prominent research areas—team dynamics, leadership, and human resource management—the presentation aims to show the value and significance of psychological and behavioral research in organizations. Then, he will have a discussion on why a DBA program will equip students with knowledge and skills in connecting theory with practice and gaining a better understanding of organizational phenomena. The topics will stimulate the executives who would like to pursue the DBA study and understand the potential value by linking academic research with organizational capability and global operations strategy, and become scholarly industry leaders in the new era. General Managers, Vice Presidents or CXO, etc. ■ He is visiting professor at Cornell University and received the master degree from INSEAD, PhD degree from Rotterdam School of Management, and obtained the Post-Doctorate from University of Chicago. Prof. Gong’s main research interests include big data logistics, big data supply chain, intelligent operation strategy, and intelligent manufacturing. ■ Prof. Gong has published 41 articles in leading international journals, such as Production and Operations Management, European Journal of Operational Research, IIE Transactions, IEEE Transactions on Engineering Management, International Journal of Production Economics, Annals of Operations Research etc, including 13 A/FT level articles. ■ He has published book “Global Operations Strategy: Fundamentals and Practice” in Springer, which has been a best-selling book for years. The book has been globally adopted by more than 40 universities or business schools in Europe, USA, Australia, Africa, China, and other Asian Countries. ■ He is tenured associate professor of organization management in Shanghai Jiao Tong University and received his PhD in Industrial Relations and Human Resources from Rutgers University (New Brunswick, NJ). ■ He was on the faculty of Organizational Leadership Division at Indiana University-Purdue University at Fort Wayne. His primary research interests include leading and managing collaboration, knowledge work, diversity, innovation, and human resource management in global and Chinese indigenous contexts.He has received multiple large-scale funding from national science and social science foundations, and has published in top management journal such as Academy of Management Journal, Journal of International Business Studies, Journal of Management, Human Resource Management, International Journal of Human Resource Management, Journal of Organizational Behavior, etc. ■ He was an International Faculty Fellow at MIT and has won International Human Resource Management Scholarly Research Award from the HR Division of Academy of Management, finalist for Best Conference Paper Award - Micro Paper Track of International Association for Chinese Management Research Conference, and included in Best Paper Proceedings. Make your impact! Master the theoretical wisdom for business leaders. This program has been specifically designed in response to a growing need of business leaders to challenge current business practice and devise new methods for progression in times of technological and geopolitical change, and increasing uncertainty. By combining an academically rigorous education with business practice, the program will enable participants to update their business knowledge and enhance their analytical and critical thinking capabilities through modules delivered across the globe. The emlyon Global DBA also requires participants to produce a doctoral dissertation – an original piece of research focused on solving a core issue within their own industry or organization. With their career experience and their new academic learning, this dissertation will create real business impact and value.